We are delighted to work with an extensive portfolio of the very finest quality venues across Northern Ireland, you can find a great selection of these listed on our venue pages. Team Challenge Company's unique ability to offer a fully mobile service allows us to deliver team building events across Northern Ireland. This means your event can be tailored to your specifications and delivered at a venue of your choice. As part of our event management service, Team Challenge Company will liaise with you about what activities best meet your team's needs and objectives. Then, based on your brief and requirements, we can help you find and select the most appropriate and convenient venue for your event. We work with an extensive portfolio of the finest properties in Northern Ireland. 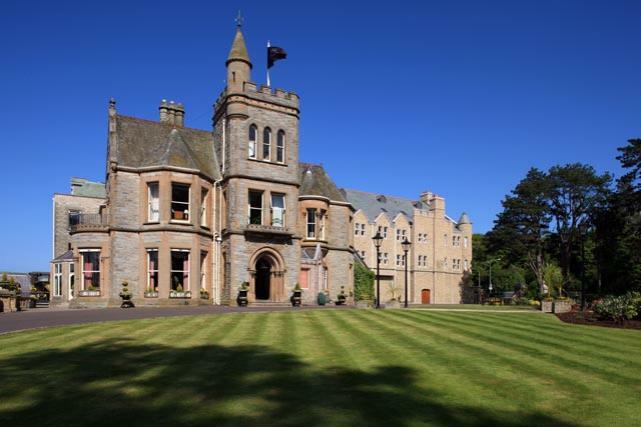 Whether you are looking for a team building event at a city centre hotel, in the grounds of a baronial castle or on the waters of a loch-side retreat, we will help you choose a venue to suit. On our venue pages, you can browse through our impressive selection of some of Northern Ireland's greatest locations. Then, once you have made your choice, we can start planning your event. Alternatively, you can contact our team and we can talk you through which properties best cater to your specific needs. We are always happy to offer advice and guidance, so get in touch today and let us help make your team's next event your best yet.